and now it's a very small jump to the soft lead bullet of a black powder rifle... there were times they even killed elephants with it. The difference between energy-potential and potential to deliver or transmit its energy to the animal are often forgotten. My Theory on mushrooming lead bullets is based on simple observations but may be completely wrong, Like chambered it seems that the ones that mushroom compared to the ones that don't kill quicker so my assumption is that the energy is transfered more efficiently by the softer projectiles. 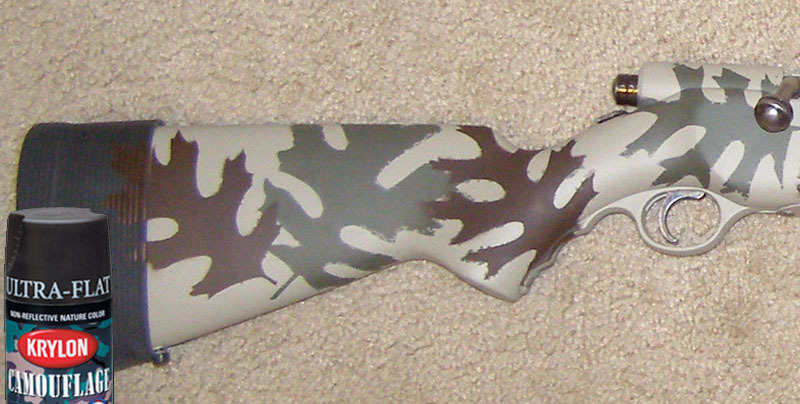 Been working to camo the old Mossberg bolt action for a couple of days. Finished today. It didn't come out exactly like I had planned but it should do. Used oak leaves from the back yard as templates. Now I have to mount the red-dot on the scout rail and sight it in so it can be back in action. Good work! I'll be waiting on the shooting results. Hey...that looks pretty cool Slim...you done good mate. How about a run down on the process and paints/materials you used mate? 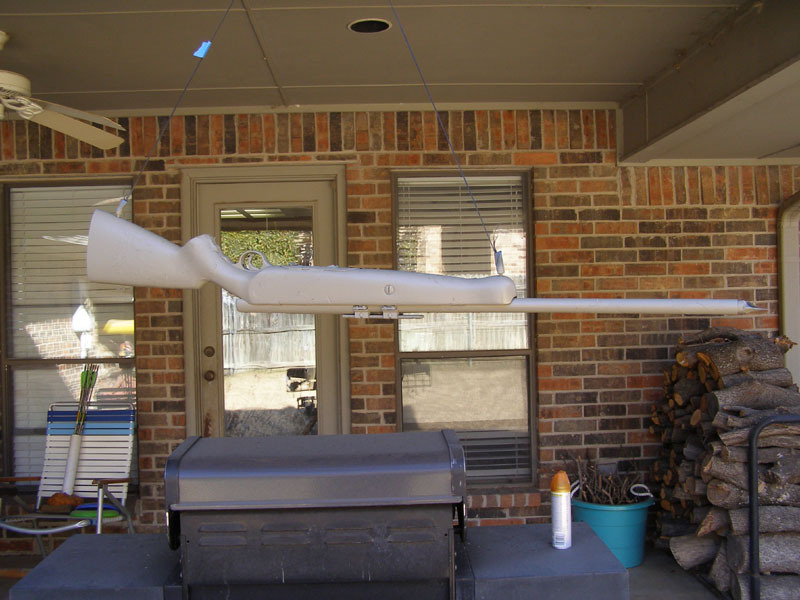 Thats a pretty fine looking rifle there Slim. Very nicely done. Nice job Slimjim! I think it looks great. looks good indeed. which paints do you use??? Thanks for the compliments. 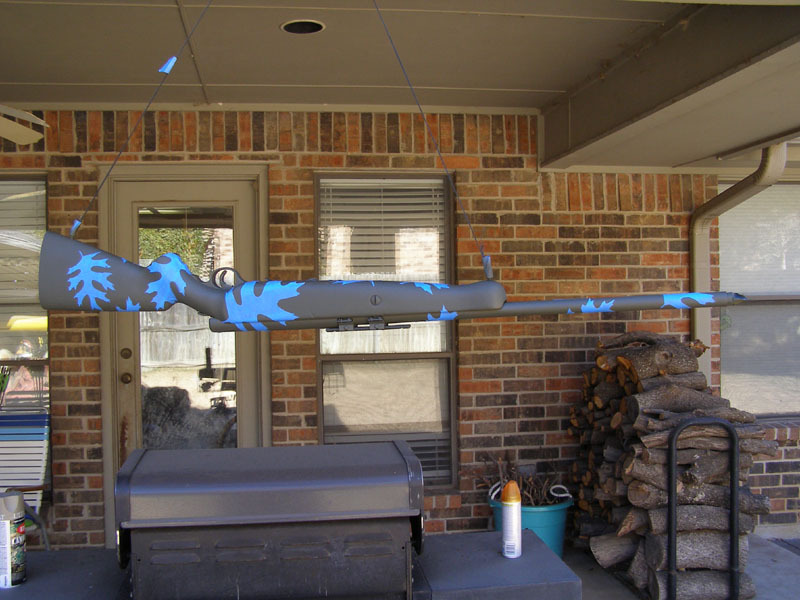 I used Krylon Camo Paint with "Fusion" technology that allows it to stick to plastic. I was pretty impressed with the paint and it looks to be pretty durable. I didn't even consider a clear top coat. 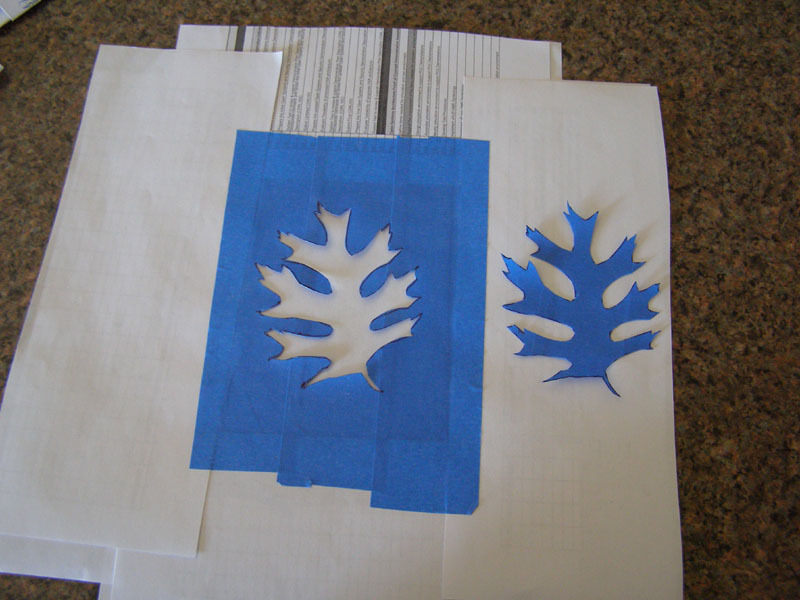 I traced oak leaves onto masking tape to make stencils and then cut them out with an exacto knife. No I didn't do it on the kitchen counter - used a hard piece of cardboard as a cutting surface. The inner section of the "oak leaf" was used first and worked very well. The outer section worked ok after I removed the paper sides I had added which were preventing the template from making contact with curved surfaces. I first applied an oil drab base coat after cleaning the barrel/action with disk brake cleaner and scuffing the stock with a scotchbrite pad. I then applied the inner templates before applying a second coat. The second coat was dark earth. I peeled the masking tape templates off after it was dry to the touch. This left the the olive drab leaves visible. I used the outer templates to paint the brown leaves in select locations. Unlike the leaves on the base coat, I only did one or two at a time. The blue masking tape doesn't leave a glue residue but it didn't leave a clean paint line as shown in this picture. This was my disappointment in the final product. I should have probably used the new green masking tape - I heard it seals better. Still, an acceptable look for a 50+ year old shotgun that I've converted to a slug gun. Accuracy results will follow in a week or two. Really nice job Slimjim. I tried to camo an old .308 1916 Spanish Mauser and it looked terrible, so I just sprayed it 1 color and it looks better. I like the method you used. I sprayed a light color first, then 2 darker colors and tried to use real leaves What a disaster! I have a pump slug gun I want to camo, If I do, I would use your method. Awesome job SJ, that is a really nice looking gun there. Thanks for sharing the method you use.